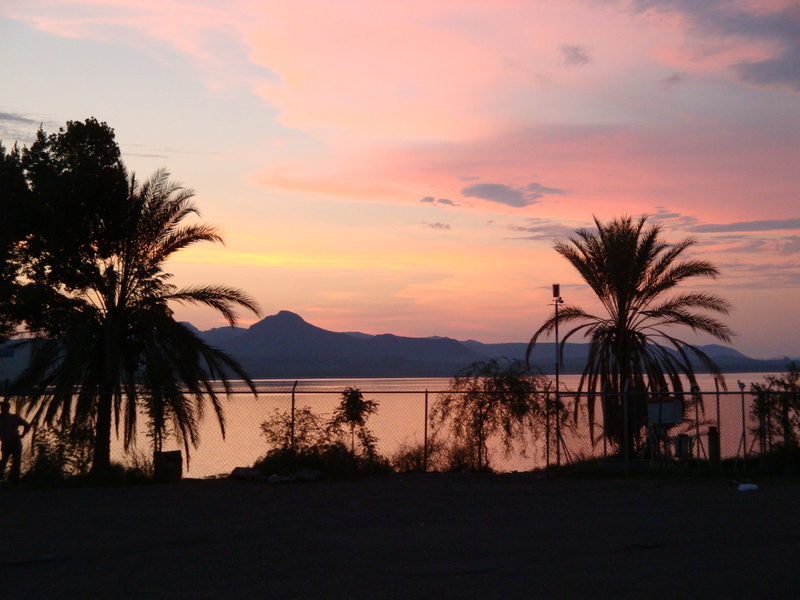 After a week of familiarizing the group to the food, culture, language and climate of Sonora, UMB-WEST participants traveled to Rayon, Sonora to begin field work. The town, which is a two-hour drive northeast of Hermosillo, has a population that nears 1,000 residents. It is a traditional pueblo with stucco homes and lazy afternoons; a place with few stores, but many homes operating as cheese and tortilla vendors. 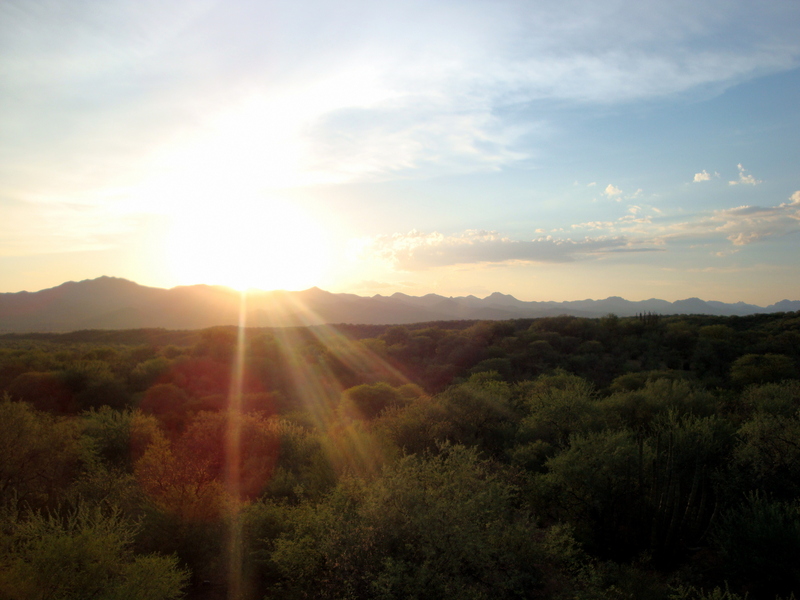 This locale was chosen for field work because the environment is a reflection of the US-Mexico border region and is heavily affected by the summer monsoons. Because water vapor from plant transpiration and soil evaporation has unique isotopic signatures, measurements of the two can help separate the relative contribution of transpiration and evaporation at the ecosystem scale. Soil and stem samples were collected to determine the corresponding isotopic compositions of the relative proportions of evapotranspiration. 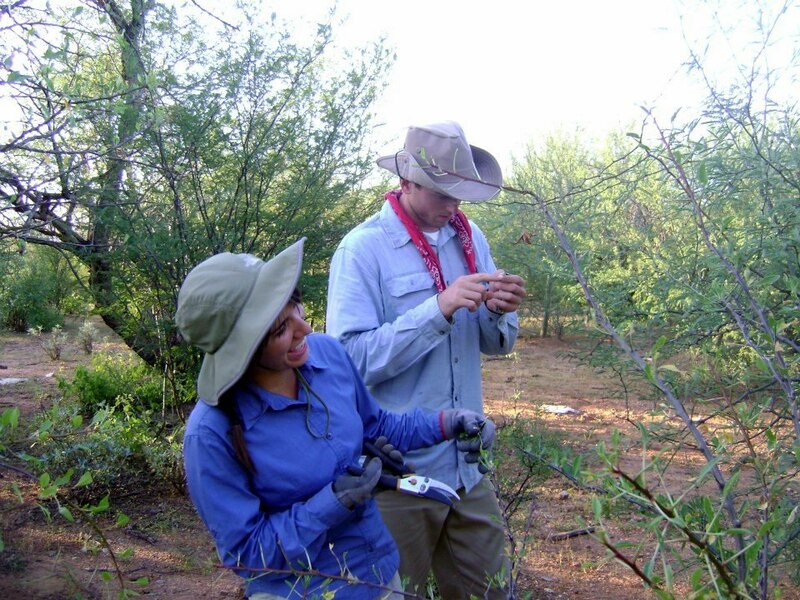 Stem samples were taken from nine representatives species of the shrubland: Prosopis velutina, Fouquieria macdougalii, Acacia cochliacantha, Jatropha cordata, Parkinsonia praecox, Mimosa distachya, Ambrosia cordifolia, Encelia farinosa and Lycium sp. A Water Vapor Isotope Analyzer (WVIA) was installed on site to analyze water vapor isotopes. Here, the role of the plant in ecohydrology was examined. The water potential of a plant is a sensitive indicator of the water stress of a plant, and ultimately a sign of an ecosystem’s overall health. A Scholander pressure chamber was used to measure water potential. Stems of nine different representative species were collected twice a day, before sunrise and during the afternoon. Observing water potential of stems. In another ecohydrological experiment, students used a leaf porometer to measure the stomatal conductance of nine representative plants species. Vapor loss from leaf area affects numerous terrestrial processes, even the development of the climate itself, and is a direct response to water availability. Measurements were taken daily in the early morning and afternoon. This experiment was by far the most foreign looking. 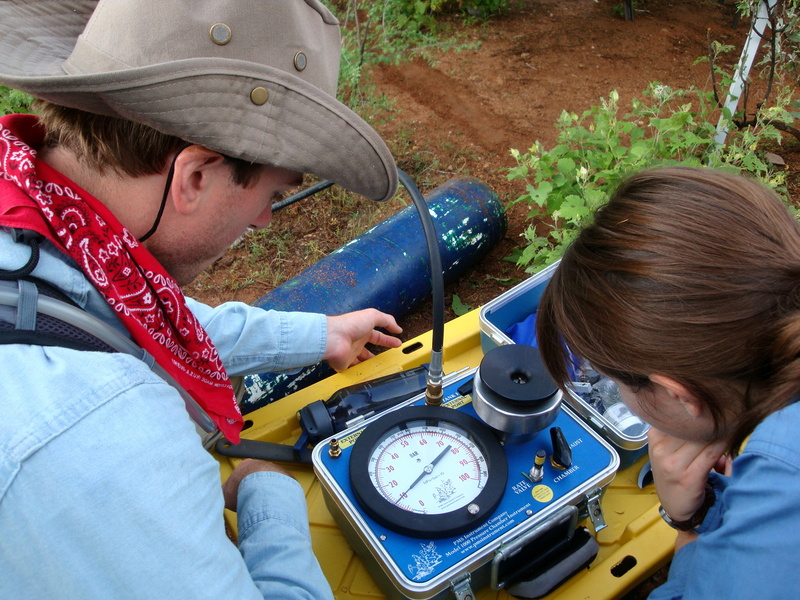 Several students were in charge of using a large-scale static chamber to measure ecosystem fluxes of carbon dioxide and water vapor in the arid shrublands. 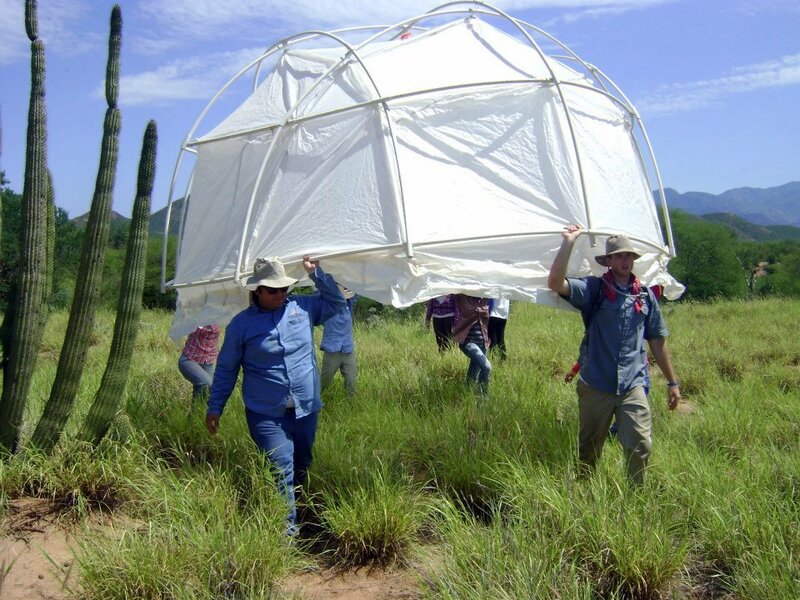 The dome experiment was performed in natural shrubland scenery and at a buffel grass site. Students carrying the dome at the buffel grass site. Measurements of transpiration based on sap flow allow the continuous monitoring of the physiological stage of vegetation and estimate the amounts of transpired water per unit of ground area. In this experiment, whole-water plant use in trees was quantified by measuring xylem sap flow with Granier’s Thermal Dissipation Probe. 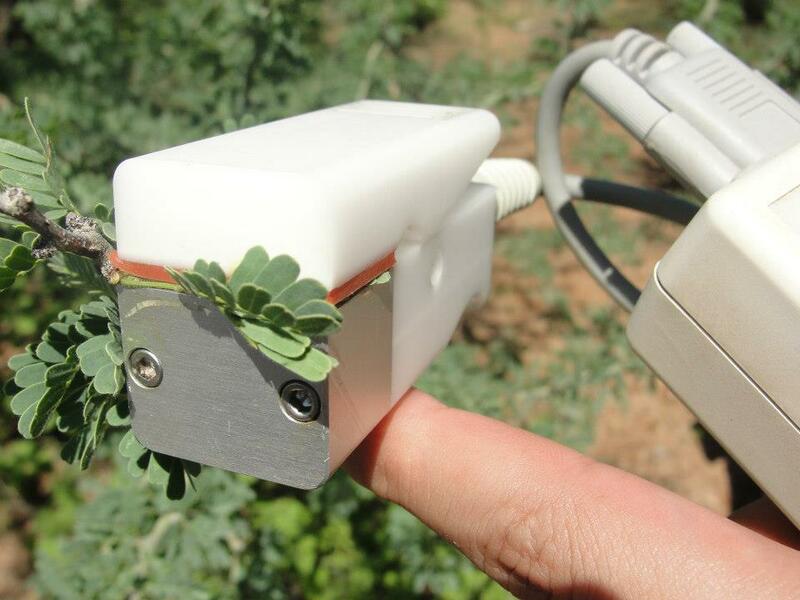 Individual Mesquite trees were chosen for the installation of new sensors and maintenance was conducted on previously installed sensors. The goal of this experiment was to validate vegetation-related Leaf Area Index (LAI) and reflectance products in MODIS/LANDSAT using a line intercept/transect method, a ceptometer and a spectroradiometer. 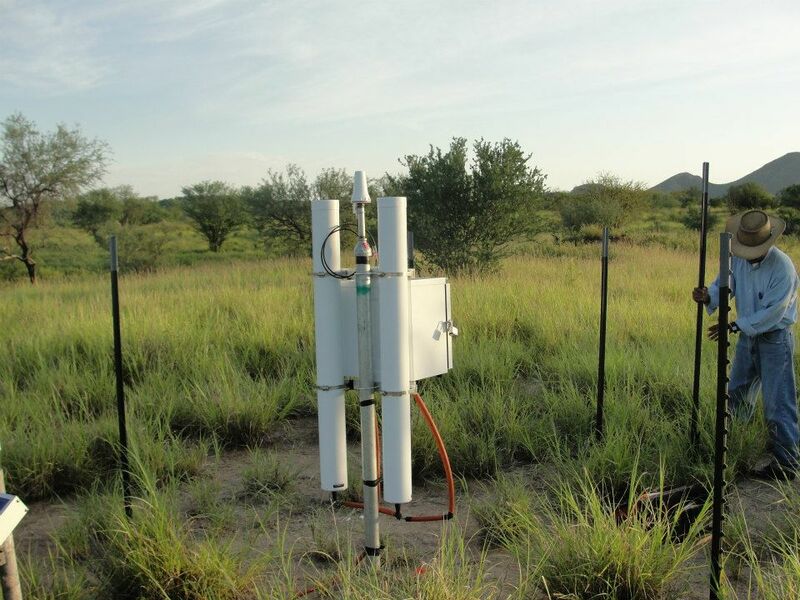 Though most experiments were conducted at a tower site in natural vegetation, this experiment was conducted on a field of buffel grass. This year was the first time experiments were conducted near buffel grass, an invasive species grown for cattle grazing. The purpose of this experiment was to study soil variability in terms of soil moisture. Using moisture probes at the buffel grass site. A circular grid was created with transects spanning north, south, northeast, southeast, northwest and southwest, each venturing out 300 m. Teams were sent out to dig 60 cm holes and probe moisture at various depths. The resulting data also served as a comparative tool for the new COSMOS instrument which also aims to measure soil moisture. The buffel grass digging crew. 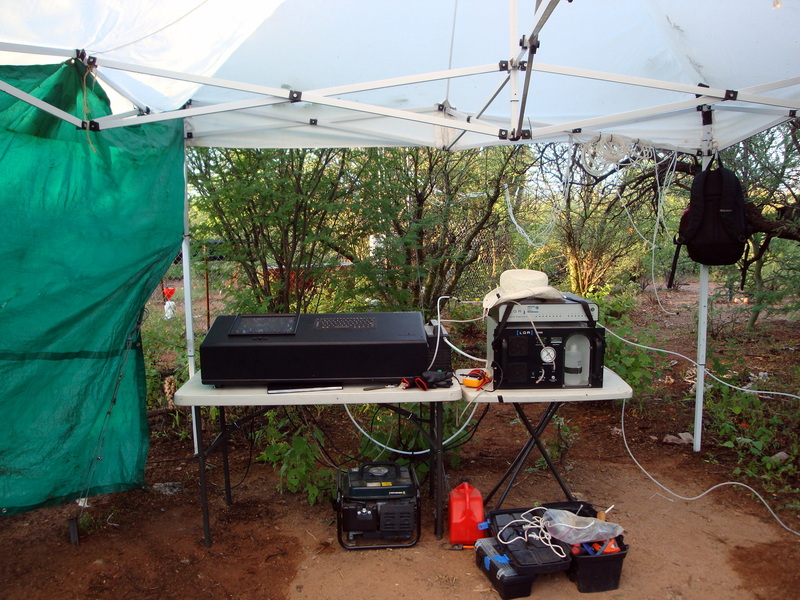 A COsmic-ray Soil Moisture Observing System (COSMOS) was installed at the buffel grass site. This method of measuring soil moisture takes advantages of solar radiation and the resulting neutrons released from soil. The data collected from the instrument was compared to the soil moisture data collected from the aforementioned experiment. Overall, the science was performed smoothly. There were a few hiccups with testy equipment and the language barrier was frustrating at times, but the general feeling at the end was one of satisfaction. The first week in Mexico laid the groundwork of the whole UMB-WEST experience but the blood, sweat and tears shed during the second week really bonded the group of students and faculty. Much was learned regarding the ecohydrology of the Sonoran region and now Arizona State students can bring back the knowledge to improve situations here in the U.S. and call for a more collaborative effort between borders. 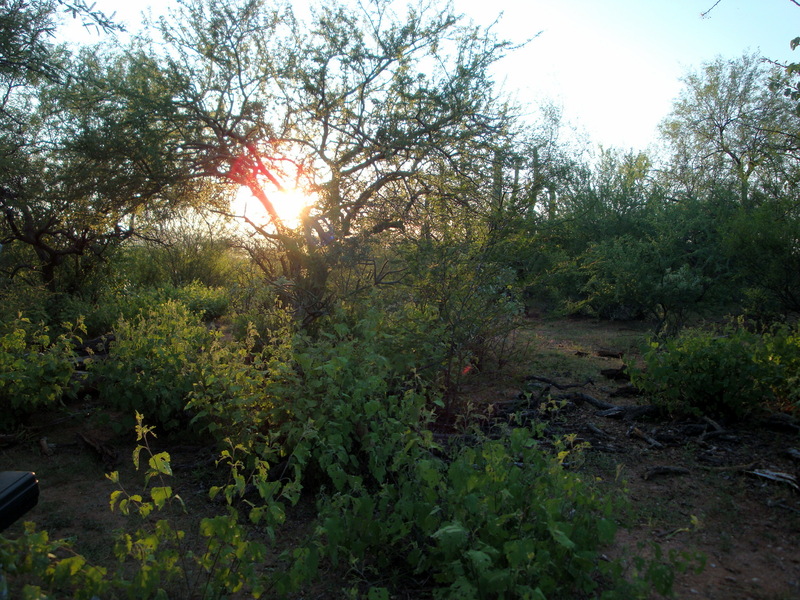 For more information on the hydrology program at Arizona State, visit the webpage. Gone are the days of excessive humidity and siestas as the Arizona State students return from their two week campaign in Sonora, Mexico. Though both weeks were intensive, they were challenging in different ways. The first week began with lunch at Elba in Santa Ana, Sonora. The restaurant deserves mention because it is home to the famous milonesas, a chicken-fried steak the size of a sombrero. Not only was this an introduction to Mexican cuisine, it was a test to the students. Several of them tried to finish an entire one, but only two succeeded: Rud Moe and Danny Che. Honorable mentions go to Huntington Keith and Jiachuan Yang. 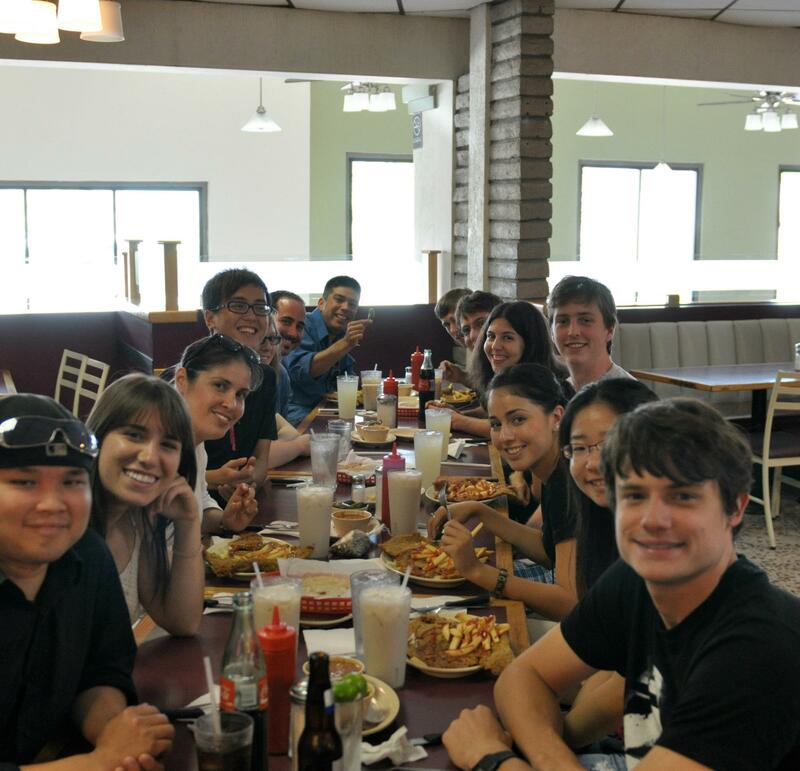 After the hefty meal and a night of sleep, students began their week of excursions and lectures in Hermosillo with Dr. Christopher Watts from the University of Sonora (USON) and Dr. Enrico Yepez of the Technological Institute of Sonora (ITSON). Both gave a detailed overview of the meteorological and ecological drivers of hydrology in Sonora. Dr. Watts was the first to expose the infinite amount of variables that influence water availability, resolving that the effort to solve water problems is an interdisciplinary one. Dr. Yepez spoke about the role of scales in space and time, leading into a discussion about ecosystem services and the role science plays in the support and regulation sectors of those services. Afterwards, students were taken to the College of Sonora (COLSON) to hear a lecture by Dr. Nicolas Pineda regarding the challenge of urban water management in the city of Hermosillo. His lecture mentioned the role politics and economics play in infrastructure development. Students were briefed on Mexico’s governmental system and learned the jurisdictional boundaries of the federal, state and city governments in regards to water management. Furthermore, participants were given a full summary of Sonora Sistema Integral (Sí). Sonora Sí is a multi-faceted effort by the federal government to bring water from the surrounding regions to the city of Hermosillo, the capital of state. Though many projects are planned, the most controversial leg of this venture is the Independencia aqueduct, which aims to funnel water from the Novillo reservoir in the Yaqui Valley river system. 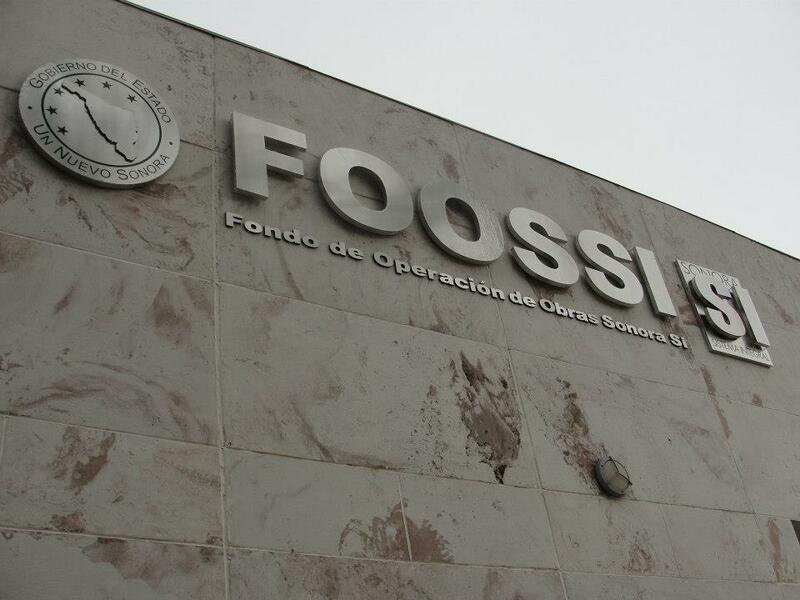 The main complaint comes from Ciudad Obregon, the agricultural hub of the state, which procures all of its water from the Yaqui Valley river system. Though debates have pitted Hermosillo and Obregon residents against each other, the project continues and pieces of the aqueduct have already been installed.The argument in spotlight surrounds the amount of water Hermosillo will funnel from the reservoir. Currently, it is set to a small percentage of the total volume, but discussions with officials in Hermosillo reveal that this may not remain the case for long. With more water available, Hermosillo will appear more lucrative to industry which may spur exponential population growth. With this knowledge, UMB-WEST participants realized that their work in the field of science may have political repercussions; ones that they may not be able to control regardless of the scientific data they provide. Dr. Enrique Vivoni (ASU) explaining the filtration process at the wastewater treatment facility in Hermosillo. 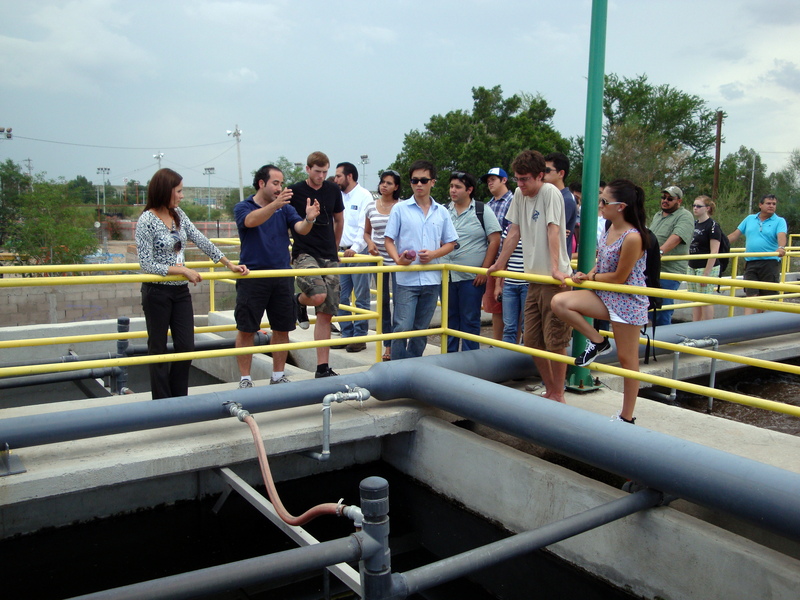 Nearby the Agua de Hermosillo headquarters, students were granted access to a wastewater treatment facility. The site visited was one of the few in the city because currently less than 20% of wastewater is treated. The facility utilizes filtration, activated sludge, chlorination and sedimentation to treat the wastewater. UMB-WEST group and federal and state representatives in front of Molinito Reservoir, the current main source of surface water available to Hermosillo. 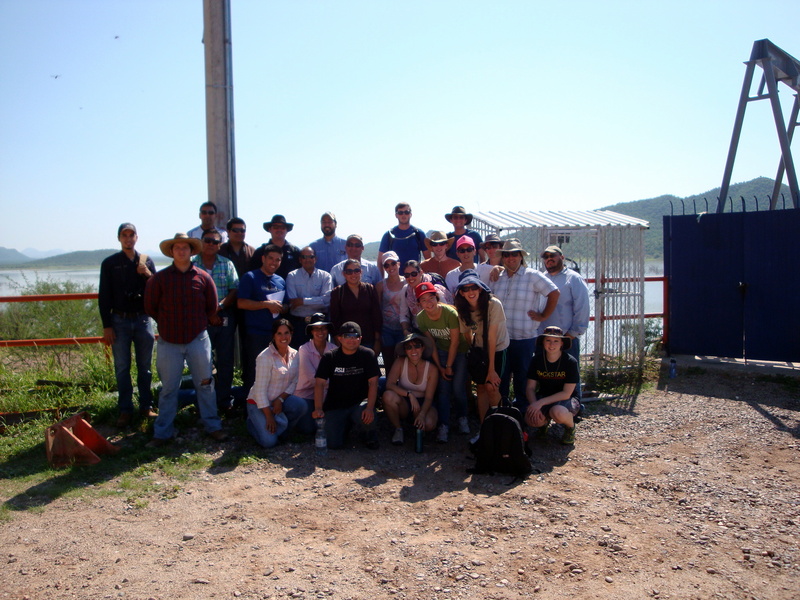 To finish up in Hermosillo, students took trips to the Rodriguez and Molinito reservoirs and a table grape farm. 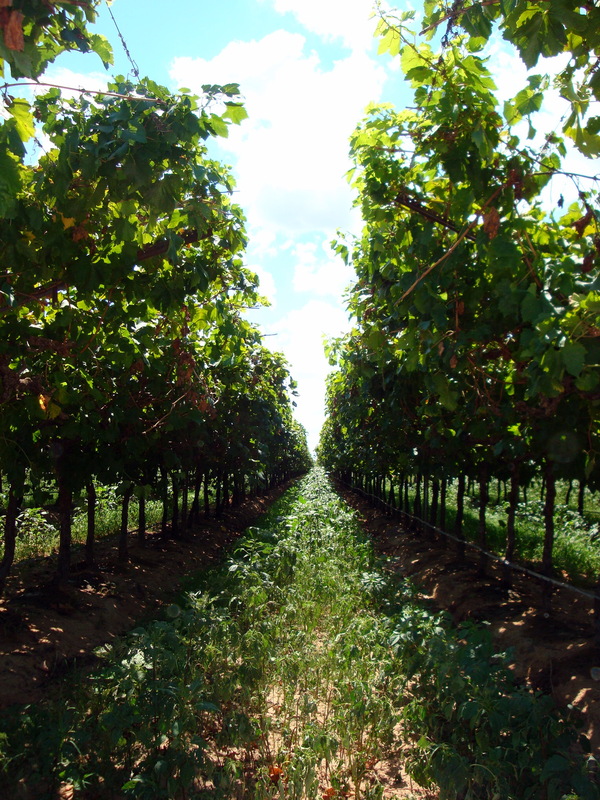 Behind wheat, table grapes is the most lucrative crop in Sonora. Students were given the chance to speak to Inj. Alberto Preciado Martinez on a 220 hectare farm that provides grapes to the United States, select countries in Europe, Japan and China. 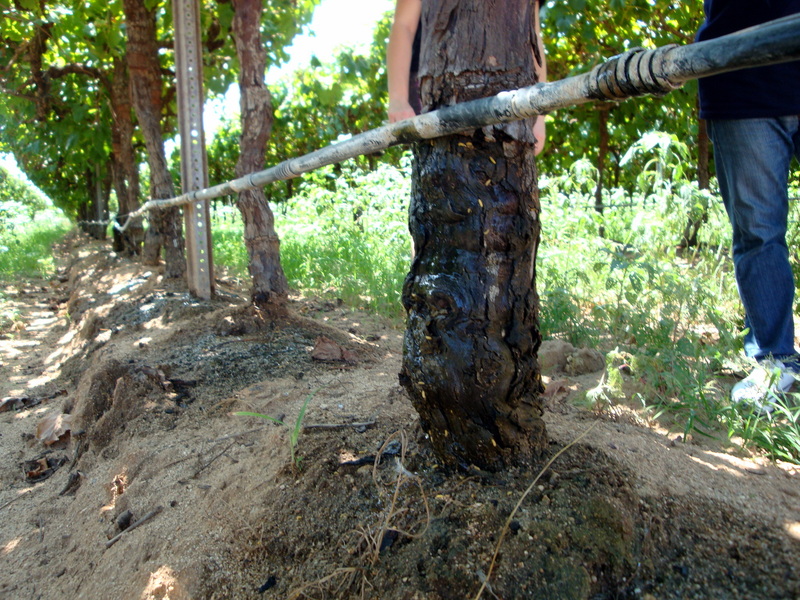 Management of the farm is heavily influenced by technology, so much so that every tree is distributed water based on its needs decided by a computer. There was also an on-site wastewater treatment facility and two reservoirs that store water during dry seasons. Though the organization behind the crops is impressive, the amount of migrant workers the farms in the city attracts during the harvest season is astounding. During harvest season, the town balloons from about 10,000 inhabitants to 40,000 inhabitants. Migrant workers come from southern Mexico, especially from the states of Chiapas and Oaxaca. 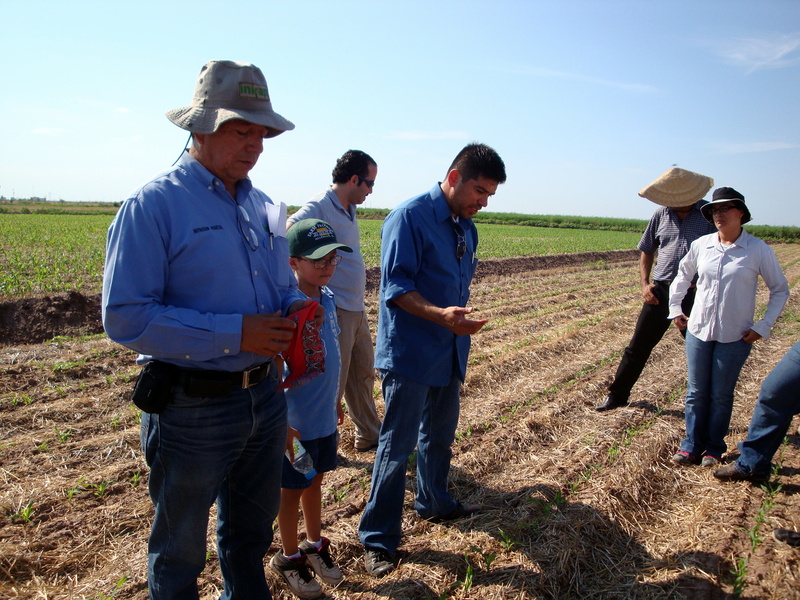 Once the Hermosillo half of the week came to an end, students ventured two hours south to Ciudad Obregon to receive more on the agriculture of the Sonoran region. 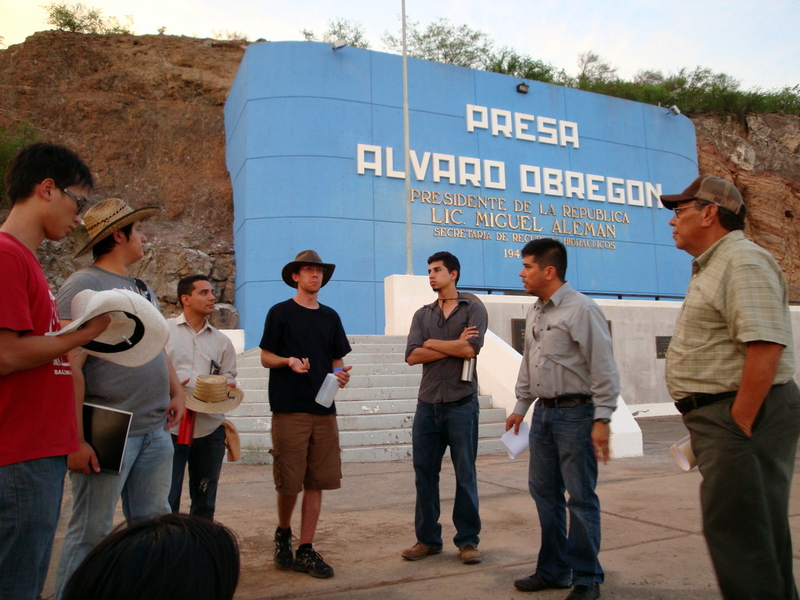 A visit to the Alvaro Obregon or Oviachi reservoir and its corresponding hydroelectric plant defined where farmers in the Yaqui Valley obtain their water. Dr. Jose Luis Minjares spoke about the practices farmers use to conserve and preserve their water. Students also got the chance to see the facilities of the International Maize and Wheat Improvement Center CIANO, home of the Nobel laureate Norman Borlaug (father of the Green Revolution). Presentations were given by Dr. Pedro Figueroa and Dr. Juan Manuel Cortes regarding wheat production and various methods of sustainable cultivation. M.C. Ortiz discussed efficient irrigation methods, highlighting that the main problem was not developing the technology but figuring out a way to make it available to all farmers. Talk with Dr. Juan Manuel Cortes regarding agricultural conservation. Activities were wrapped up in Obregon with a visit to the Yaqui Valley irrigation offices, where students viewed grids of operating wells within the Yaqui Valley river system and heard more formal opposition to the Independencia aqueduct. This wraps up the first week of adventure. 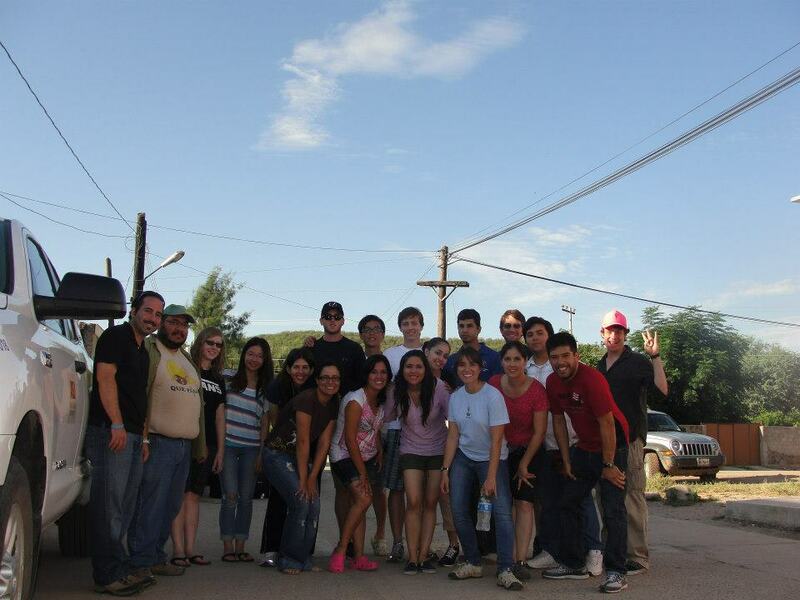 Stay tuned to read about the second week in Mexico where students tended to field work in the small town of Rayon. 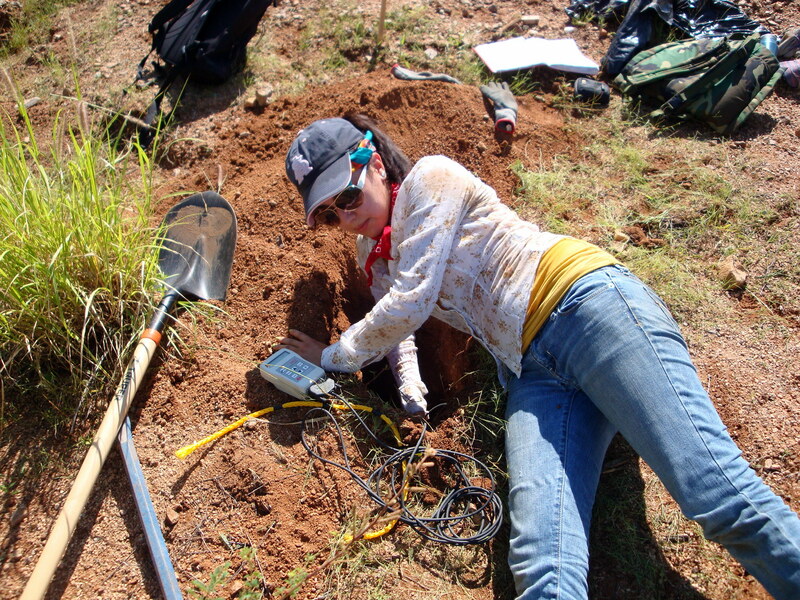 For more information on the hydrology program at Arizona State, check out the webpage. The first week of the UMB-WEST program is underway. If you didn’t get a chance to read about the project, there is a great synopsis in the June edition of SESE’s newletter, SESE Source. However, I will quickly detail the project here and what we’ve been up to this week. The Water & Environmental Sustainability Training (WEST) program explores the the US-Mexico Border (UMB) regions of Arizona and Sonora. The WEST program seeks to establish water sustainability in the UMB region by conducting hydrologic field experiments, interacting with water resource managers and observing new infrastructure projects. Since 2004, participants from universities in the United States and Sonora, Mexico have collaborated to expose water problems in the UMB region. The current 2012 program began on July 23rd and will run until August 17th. 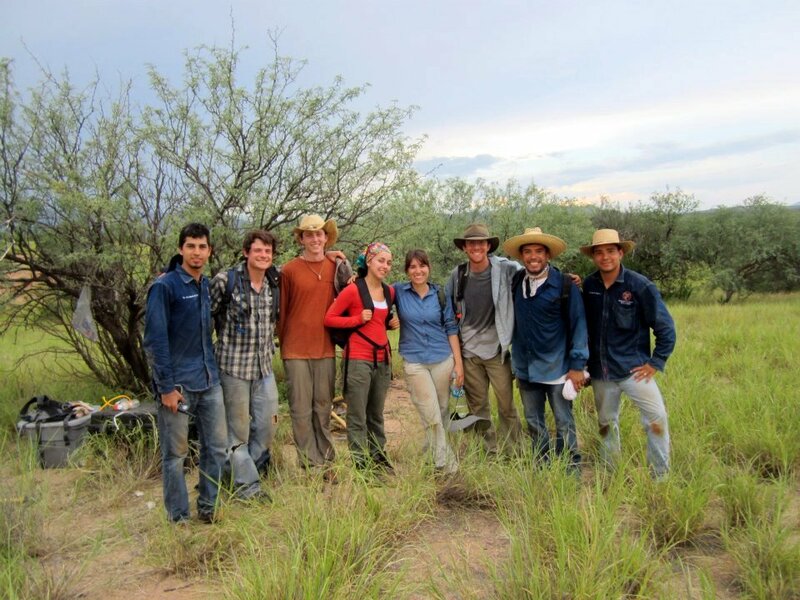 A two week campaign in Sonora, Mexico will allow faculty members and students from ASU to observe current infrastructure projects underway in the city of Hermosillo and perform several field experiments in the surrounding basins. During the first week, graduate and undergraduate students have entered a series of workshops conducted by Dr. Enrique Vivoni, Dr. Agustin Robles, Danny Che and Luis A. Mendez-Barroso. The week is preparation for the two week campaign and time is split between a computer and research lab. In the computer lab, students learn hydrologic modeling and create maps of prospective sites using HEC-HMS and GIS tools. In the research lab, students manually assemble and calibrate rain gauges and soil moisture probes, and also familiarize themselves with dGPS, theta probes, temperature sensors, and the COsmic-ray Soil Moisture Observing System (COSMOS). The field manual for the trip is also largely written by the participants. The students partaking in the program are from various disciplines, including conservation biology, engineering, geology and sustainability. The program is also multi-cultural and participants are immersed in the Spanish language, where they gain valuable insight to international politics and scientific collaboration.